Israel is the central focus of Bible Prophecy. God has seemed conspicuously silent towards Israel for the last several thousand years, but in the near future God will break His silence in a specific war detailed in Ezekiel 38-39. “Gog” and the many nations intend to plunder Israel. However, we are shown how God sets this war up Himself to fulfill His plans and purposes. He then intervenes supernaturally to save Israel from certain annihilation for the sake of His own name. Basically, God will raise Israel’s enemies up against her in such a way as to guarantee her destruction, just so that He can prevent her from being destroyed. God breaks His silence with Israel for the purpose of announcing to an unbelieving world that He intends to fulfill His covenant promises! He will reclaim Israel as His people and His land. God mentions this purpose 70 times in the book of Ezekiel; four times in these two chapters alone, to ensure He gets His point across. However, He has one final test for Israel. Gog – the leader of the nation Magog and ruler of Meschech and Tubal. Much time has been spent trying to identify “Gog”. Due to the mention of “Gog and Magog” at the end of the Millennial Kingdom for an entirely different war, I believe it is most likely that “Gog” represents the supernatural figure behind the nations involved. In this sense he might be a “prince”, like Michael is the angelic “prince” of the people of Israel. Ephesians 6:12 tells us that there are powers and principalities ruling in this world. “Gog” may be behind the throne of Russia, or possibly Turkey. Michael Heiser suggests in his book Unseen Realm, that “Gog” is simply a general representation of the “lands to the north”. The “north” was where the spiritual forces of darkness were considered to arise from. Magog – Traditionally this is identified as Russia or possibly Turkey; however, Turkey displays no history of similar might or leadership the way Russia does). Other contenders could also be Ukraine, Kazakhstan, Kyrgyzstan, Tajikistan, Turkmenistan, Uzbekistan. Again, Michael Heiser doesn’t consider specific nations to be in view here so much as the forces of spiritual darkness coming “from the north”. Meshech and Tubal – Possibly Russian cities (Moscow? Tobolsk? ), or cities in Turkey or elsewhere, depending on Magog’s identification. Note that of the specific nations listed, none border Israel directly but many are predominantly Muslim. Strikingly missing are Egypt, Syria, Jordan, Lebanon, Iraq, and Saudi Arabia. Those countries ARE involved in separate prophetic wars (Isaiah 17 and Psalm 83), with the possible exception of Egypt. It will be interesting to see if “all his hordes – many peoples are with you” mentioned in Ezekiel 38:6 include Syria and the nations described in Psalm 83. Either the wars are connected and God doesn’t want to reveal that part of His hand yet, or the Gog/Magog war possibly follows the other two battles (but would be very difficult to place BEFORE the other two). There is a vast distinction between the limited nations listed here and the battle of Armageddon and the Millennial Kingdom Last Battle, which both will include representatives from ALL the nations of the world. This war has to occur when Israel is established as a nation but before her repentance and spiritual restoration. There is no mention of the Temple in this prophecy, or even of Jerusalem at all. It would seem that the third Temple is yet future when this war erupts. Gog will amass upon Israel suddenly and unexpectedly, while Israel is dwelling “securely” (safely, or possibly carelessly). God is the one who will put the ideas in (Gog)’s head, and will draw him out at the fullness of time. God has a very specific time, plan, and purpose ordained for Gog’s war. It would seem that Isaiah 17’s destruction of Damascus might be the spark that lights the fuse of a massive explosion of war in the Middle East. It is unclear whether Psalm 83’s war was already fulfilled in the 6-day war of 1967; however, it is difficult to see an Islamic-Israel war that doesn’t involve at least some of the Psalm 83 nations. These might be included in the war Ezekiel 38-39 mentions as the “many nations”. Either way, the Gog-Magog war will likely erupt within the next few years given the prophetic readiness of the Middle East. There are strong connections between Ezekiel 38-39 and the opening of Seal 6 in Revelation 6. These connections also seemingly mark the beginning of birth pains (Matthew 24, Luke 21, Mark 13). Collectively, Seal 6, Matthew 24, and Ezekiel 38-39 would seem to mark the beginning of the Day of the Lord. There is also strong connection between the beginning of the Day of the Lord, which contains wrath, with the rapture of the church. The Ezekiel 38-39 war may thus occur immediately before, at the same time as, or immediately after the rapture (a short timeframe, possibly days or weeks). A future leader or supreme commander, Gog (identity unknown, but NOT the beast, antichrist, or false prophet), of the land of Magog (Russia? ), will oversee a vast military alliance which will be heavily armed. The alliance will be primarily Islamic, and their goal will be to overtake Israel’s resources. It seems that Russia will be joined by Iran and Islamic nations from north and east Africa (Ethiopia, Libya, Somalia, Sudan, and others), plus Islamic nations of the Middle East and Central Asia (Turkey, Kazakhstan, Turkmenistan, Tadzhikistan, Uzbekistan, Kyrgyzstan, and others). The individual countries involved may vary slightly from this list. There may be mild protest to this invasion, but there will be no intervention in support of Israel and Israel may not even have time to defend herself. God will completely destroy the invading armies and send destruction upon Russia and the homelands of the invaders using: a global earthquake, internal chaos and infighting, pestilence, torrential rain, hail, fire and brimstone. What begins as divine judgment on the troops surrounding Israel will expand to include the whole world. After God intervenes and destroys the army, Israel will spend 7 months cleansing the land and burying the dead. Israel will also be able to use the invaders’ weapons as some type of fuel source and will plunder their equipment. They will do so for a period of 7 years (but there may be more than 7 years’ supply available). At the 7 year point, something will happen to intervene with this use if the supply has not run out. The battle occurs 3.5 years before the confirming of a covenant with a leader/messiah figure/high priest figure. The covenant will then be made. 3.5 years into the covenant, the leader (the Beast, or antichrist, false messiah) will cause sacrifices to cease and set up the abomination of desolation, claiming to be “god”. This will disrupt the weapons usage for fuel as the elect Jews will flee to the wilderness and be heavily persecuted for another 3.5 years before their true Messiah, Jesus (Yeshua) returns. The battle occurs shortly (days to 7 months) before the confirming of a covenant with a leader/messiah figure/high priest figure. 3.5 years into the covenant, the leader (the Beast, or antichrist, false messiah) will cause sacrifices to cease and set up the abomination of desolation, claiming to be “god”. The majority of Jews (up to 2/3) will embrace this false messiah as “god”, and will entice the world to worship him with them. The weapons usage for fuel will continue, as the nation exalts itself and their “messiah” above the nations, believing this is the Millennial Kingdom. The minority of Jews who oppose this man will flee to the wilderness and be heavily persecuted for another 3.5 years before their true Messiah, Jesus (Yeshua) returns. The weapons burning will cease when Jesus comes and sets up His millennial kingdom. The results of the battle (God’s intervention) is what confirms God’s Abrahamic covenant with Israel. While most, if not all, Jews will recognize this, only 1/3 will accept the message of the 2 Witnesses that Jesus is the Messiah. The remaining 2/3 will perhaps follow Mosaic Law for the first 3.5 years. At the 3.5 year mark, the antichrist will cause sacrifices to cease and set up the abomination of desolation, claiming to be “god”. The weapons usage for fuel will continue, as the nation exalts itself and their “messiah” above the nations, believing this is the Millennial Kingdom. The minority of Jews who oppose this man will flee to the wilderness and be heavily persecuted for another 3.5 years before their true Messiah, Jesus (Yeshua) returns. The weapons burning will cease when Jesus comes and sets up His millennial kingdom. I was heavily leaning towards the second option as most probable, until recently. Further study has led me to believe the third possibility is most likely. Several scholars I admire dispute the timing of the Gog/Magog war on the basis that God’s name will, indeed, be blasphemed again during the Day of the Lord. Out of respect for them, I have given this consideration and prayer. First, note that God’s holy name is made known in the midst of His people Israel, and it is Israel whom He does not let profane His name anymore. Israel, indeed, will emphatically desire to return to relationship with God after this battle. Although Israel will be spiritually awakened to the One True God, and will enthusiastically re-institute Old Testament style worship, many of them will still reject their true Messiah – Jesus Christ. Instead, they will accept the ultimate false “messiah”. At some point the “antichrist” will claim to BE “god”. And it seems Israel will so passionately believe this to be true, that she will entice the world to follow after him with her. Second, the verse doesn’t say that unbelievers won’t profane God, or even that Gentiles in general won’t profane Him. The main aim of the Gog/Magog war is to raise God in the eyes of Israel and the nations, vindicating His holiness and greatness. This is stated 7 times in these two chapters, and will surely come about literally at the beginning of the Day of the Lord. There will be no longer any question in anyone’s mind that God exists and that He is both holy and great. It will also be clear that He is the God of Israel. The humans who follow after the Beast also begin to blaspheme God – they curse His name (Bowl 4, Revelation 16:9) and curse Him directly (Bowl 5, Revelation 16:11). These are people who have lost the ability to be redeemed. Douglas Berner was kind enough to explain to me that while neither the battles of Gog / Magog, Armageddon, nor the Millennial Kingdom completely eliminate the profaning of God’s holy name (since Satan will be released at the end of the Millennial Kingdom for a short time to deceive the nations and face God again in battle), God is pointing to this as an ultimate end result. Until the sin nature has been dealt with completely (at the end of the Millennial Kingdom), there will be those who profane God. Basically, I understand God not allowing His holy name to be profaned anymore as an “already but not yet” statement. It will come about exactly as He ordains. While we will see its fulfillment immediately in part, the full expression of it is yet future. We have seen this before with the Kingdom of God. We have seen it when Jesus stated “It is Finished” at the cross. We will see it when the 7th Trumpet sounds “It is Finished”, before the bowls have even been unleashed. We will see it when the second announcing angel states that “Babylon is Fallen”. All these examples demonstrate that what is being stated it is as sure as if it is already complete – it will most certainly come to pass. The war of Gog and Magog is *not* the same as the battle of Armageddon, but it will lead many to mistakenly believe so. Much of Israel, and likely the world, will interpret this war and the events that follow as fulfilling Messianic prophecies. 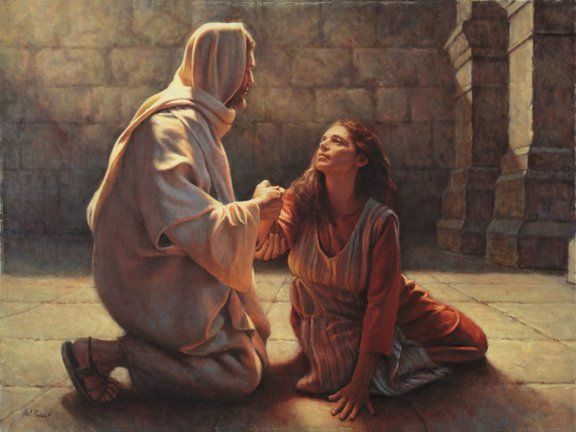 Their partial blindness will be lifted (Romans 10:25) and they will see God because of God’s direct and unmistakable intervention to save them. “God created a complex prophetic pattern through His revelation of prophecy which fosters confusion and misunderstanding. We should ask the question: Would it serve God’s purpose for the Gog and Magog invasion to be misinterpreted by the Jewish people or by the Gentile peoples throughout the world? I believe the answer is clearly – yes. God has designed a prophetic pattern which allows for the true picture of the End Times to be understood – but only if one seriously studies both the prophecies of the Old Testament and the New Testament… God’s intricate prophetic design, with its seemingly copycat and psuedo-mirror image passages, promotes a number of misunderstandings which can have serious consequences for those who err in their interpretation of prophecy. In the case of Gog and Magog, Israel and the nations of the world will be intentionally set up and ripened by God for the rise of Satan’s Antichrist – because God has specifically allocated a certain period of time for Satan to manifest his full power on earth. The Covenant With Israel – Who Confirms It? When God Intervenes (Douglas Berner) – I recommend this book for multiple reasons, but it has a very good discussion of the Gog Magog war. The Silence is Broken! 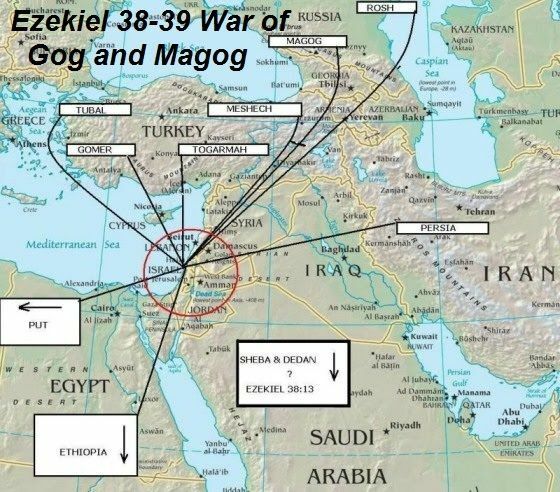 God Hooks Ezekiel’s Gog & Magog (Douglas Berner) – If you are really interested in Ezekiel 38-39, this is an exhaustive discussion of it! Douglas Berner has several short articles available online. For an alternative interpretation, Beginning and End offers this exposition. To God be the glory;our Lord Jesus Christ is coming back.